As part of our Outreach scheme, we were approached to create a piece of theatre for the National Trust’s newest property, Rainham Hall in Essex. Visitors to the hall joined Captain Charles Gilbert and able seaman Jacob Massey in Lloyd’s Coffee House under the watchful eye of Mrs Wiggins and Martin the messenger boy. 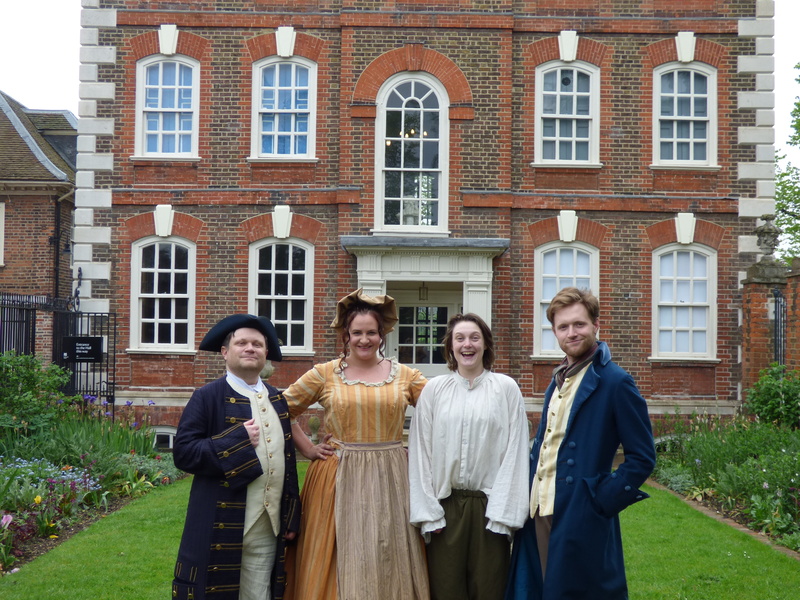 Exploring the world of the 18th century coffee house and the lives of sailors from the era, the piece was performed on May 13th and 14th as part of Museums at Night. If you missed the production, you can still check out our short, highly informative documentary, Lloyd’s: Beyond the Coffee.